The 3rd Edition is finished. I've got a load of copies for the Allan Handelman interview on 9/15. I should be able to get any orders out either the same day or next day. To order this book or other cool radio items, click here. 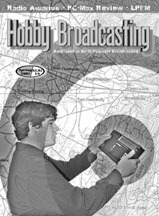 Hobby Broadcasting magazine is a quarterly publication, dedicated to do-it-yourself broadcasting of all types: microbroadcasting, pirate radio and TV, Internet radio, public-access radio and TV, shortwave radio, college and high-school radio and TV, and much more! Click HB issues for more info about our current and past issues. 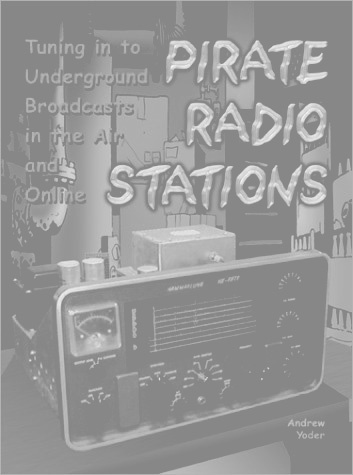 The big articles in the Winter issue include WKOS (Cleveland, 1965-66) interview, build a cheap phone patch, nonprofit start-ups, Chicago Tunnel Company, KHOG, identifying resistors, a review of the Pirate Radio videotape, adding a cooling fan to your transmitter, the upcoming Pirates for Peace offshore stations, Shortwave Bandscan, FM Bandscan, broadcast news, reviews, etc. If you pick up your copies of Hobby Broadcasting on the newsstand, please let us know where you bought it (town & store). 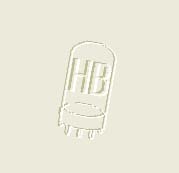 We're compiling a list of places where we know that HB can be purchased. We've got a few stores listed, but I know that there are a lot more out there. Thanks to everyone who's written in so far! I've just started to update the stations links page. It's got a long way to go, but I guess that's half the fun! Feel free to e-mail links to stations. Any LPFM slots open in your area? The Winter 1998/1999 issue is almost sold out...only a few issues left, so if you're trying to fill out your collection, but it now! Don't worry, though, Over the next few weeks, I'll gradually be putting the articles from this issue on this Webpage. If there's interest, I'll start putting up the online classifieds again....and try to keep them updated on a regular basis. Speaking of which, does anyone have a Knight or Lafayette phono oscillator? I'm also looking for ads & schematics from these. He-Man Radio started broadcasting in 1990 as a heavy-handed parody of tough guys. He Man broadcasted bagpipe music because it was more manly than any other type of music and always in USB for the same reason. He Man had a powerful signal throughout the US into Europe from his "hilltop in Ohio" in the early 1990s. He Man became more caught up up with weightlifting and bagpiping in the mid 1990s and hasn't been heard for several years. If you're interested in having your station featured here, send photos, QSLs, etc. We plan to include regular pics from LPFM, shortwave pirate, offshore stations, Internet broadcasters, etc. Send $15 for surface mail to Canada, $19 for airmail to Canada, $17 for surface mail to the rest of the world, and $24 for airmail to the rest of the world. Sample copies are $3 ppd in the United States and $4 elsewhere. This website is constantly under construction. It's updated whenever I have the time! If you would like to send me (Andrew Yoder) some e-mail, go right ahead.